Encyclopedia | In 1905, Congress ratified an agreement with the Eastern Shoshone and Northern Arapaho by which the tribes ceded 1.5 million acres of reservation land north of the Big Wind River. Tribal leaders questioned the final terms, however, and payments were slow in coming and fell far short of promised levels. Encyclopedia | With the buffalo gone and poverty, hunger and disease increasing, the Eastern Shoshone and Northern Arapaho tribes came under intense pressure in the 1890s to sell their land. In 1896, they sold the U.S. government a piece of their reservation ten miles square—including the splendid hot springs at present Thermopolis, Wyo. Encyclopedia | Congress in 1887 passed the Dawes Act, setting up a framework for dividing up tribal lands on reservations into plots to be held by individual Indian owners, after which they could be leased or sold to anyone. Critics saw it as a method clearly intended to transfer lands out of Indian hands. Encyclopedia | Alfred Corum, bound for California in 1849 with two dozen other Missouri men, died on July 4 on the Sublette Cutoff in present western Wyoming. His brother and five other men stayed behind to bury him, deeply saddened on what otherwise would have been a day of celebration. Encyclopedia | On the Oregon-California Trail in western Wyoming lies the grave of 20-year-old Nancy Hill, who died of cholera while bound for California in 1852. The gravestone, though old, is not original and part of the inscription—“Killed by Indians—” for many years misled locals about the cause of her death. Encyclopedia | Emigrant Spring, west of the Green River on the Slate Creek Cutoff of the Oregon Trail, offered pioneer travelers cold, clear water, plentiful grass for their livestock and plenty of sagebrush for their cooking fires. And the sandstone bluffs above the spring made a natural bulletin board where thousands carved their names. Encyclopedia | In 1843, Oregon Trail diarist John Boardman was probably the first to make reference Church Butte near present Granger, Wyo., calling it “Solomon’s Temple.” In the 1850s, most emigrants referred to the landmark as Church Butte, because of its shape and perhaps because Mormon companies held religious services there on their way to the Salt Lake Valley. Encyclopedia | Laramie, Wyo., was founded in 1868 with the arrival of the Union Pacific Railroad and won early fame as the place where women first voted and served on juries. It’snow known for its nationally ranked university and proximity to the Medicine Bow Mountains. Encyclopedia | Emigrant Hill on the Child’s Cutoff of the Oregon Trail—a route that ran north of the North Platte River—challenged travelers with a steep, rocky descent followed by twisting turns and a steep rise up again. Four-year-old Elva Ingram died near here of cholera in 1852, and is buried nearby. Encyclopedia | Oregon Trail emigrants often attached ropes to the back of their wagons and locked the back wheels to slow their descent of steep, rugged Mexican Hill about five and a half miles west of Fort Laramie. Some lost control of their wagons and crashed at the base. In March 2017 the Wyoming Legislature passed and Gov. Matt Mead signed a new law directing our public schools to offer more about the history and culture of the Eastern Shoshone, Northern Arapaho and other tribes of the region. With the help of scholars, tribal elders and educators on the Wind River Reservation, we began adding to our content about American Indians, and educators on the reservation have begun helping us develop classroom materials to accompany these articles. For a selection of the articles, click on the links below. 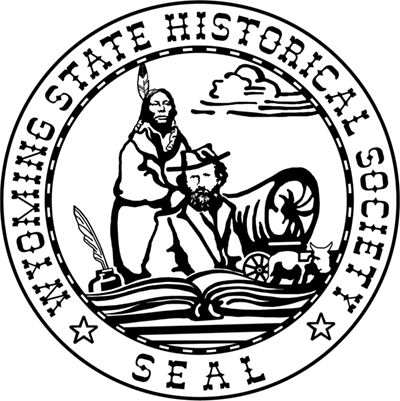 For more information on the classroom materials—digital toolkits of Wyoming history, we call them—visit our Education page. These efforts are possible with generous support from the Wyoming Humanities Council, the Wyoming Cultural Trust Fund, the Ellbogen Family Foundation, a steadily growing list of Wyoming school districts—and the tribal members who consulted on the content. Special thanks to all. 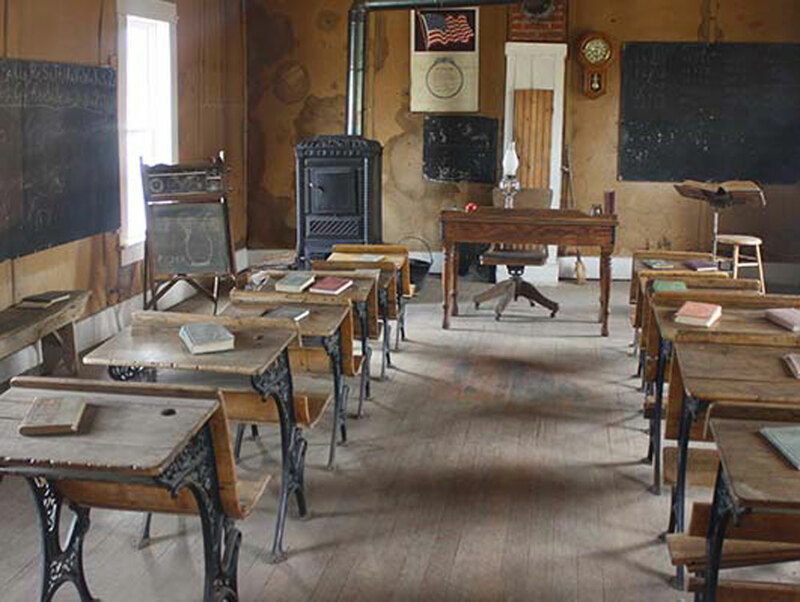 Explore WyoHistory.org’s education packages, designed for classroom use. 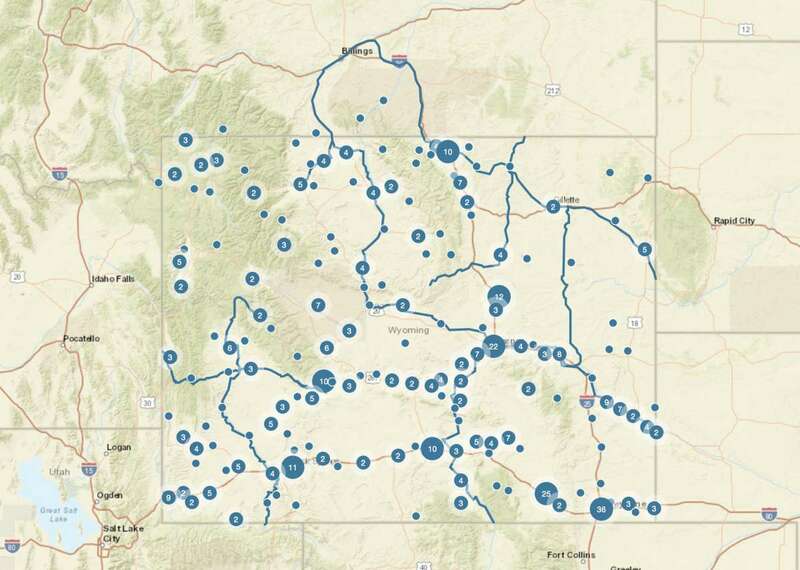 Our Digital Toolkits of Wyoming History, aimed at secondary levels and above, connect topics in Wyoming history with one of 12 overarching areas of U.S. history. Packages on the Oregon Trail and the Indian Wars are aimed at elementary classrooms. They offer articles, maps, field-trip lesson plans, videos and interactive quizzes. All packages contain information on how the exercises meet Wyoming state social studies standards.